Everybody hearts Penguins! 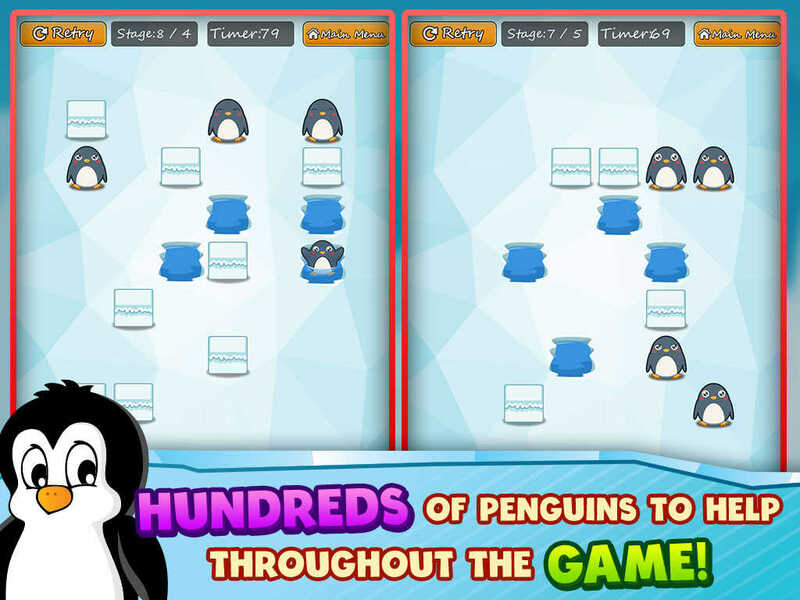 So try out the fun new puzzle game called Penguins 2015 that is awesomely cool and an instant classic! 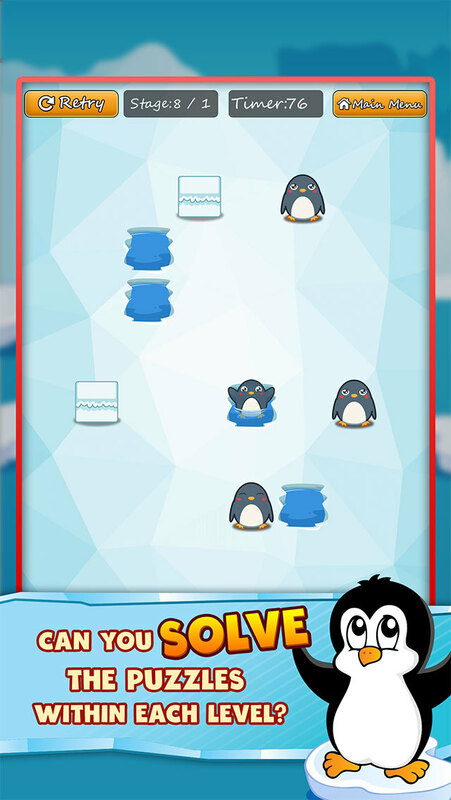 You will help penguins dash to their fishing holes so they can eat a tasty dinner. It's great fun for the whole family. 1. 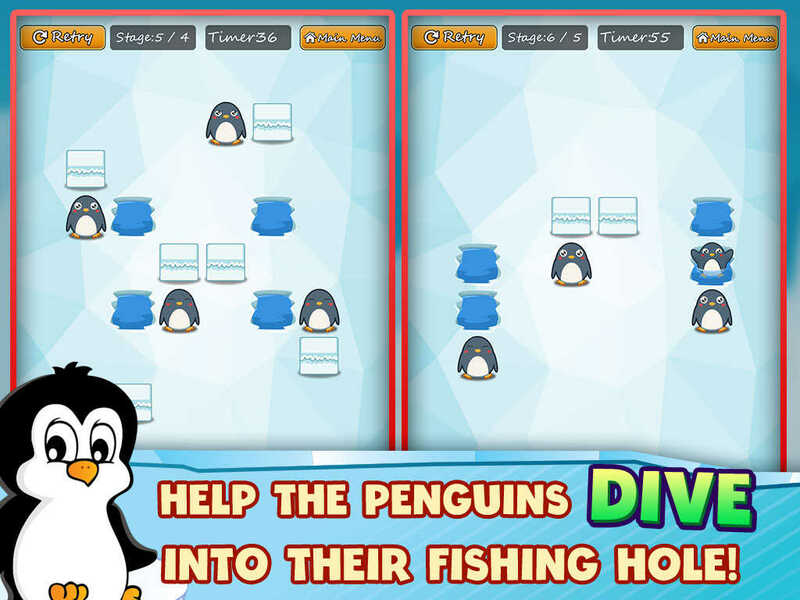 It's super easy, help penguins escape hunger by sliding them to empty fishing holes. 2. Watch out for blocks of ice, you must try jumping over them or they will stop you cold. 3. Time is of the essence as each puzzle is timed but if you finish in time you get bonus points. COOL! This game is more fun than air hockey, racing bobsleds, and chilling at home in your igloo eating iceberg lettuce. Penguins 2015 is a instant North Pole hit, that kids, boys, girls and children of all ages will enjoy. It takes a village to raise a penguin so invite all your buds to play. This game is so great you will feel like you're flying because it really gives you penguin wings. When you win you'll be cooler than a surfer polar bear eating a slice of pizza!